How to Edit iPhone HD and 4K 60/30fps Videos on PC Easily? The perfect one-stop solution is likely to be recording 4K with iPhone, editing and then uploading 4K videos to Twitter, Instagram, etc on iPhone. Well, there is such a match. iMovie app allows you to deal with 4K clips: apply filters and add theme music. It's convenient but that's it. There are no functions for you to cut, crop or combine footages, let alone resize or re-encode large 4K 60fps files for sharing in UHD. So if you just want to capture 4K short clips and share the moment with friends right away, use iPhone editor apps. But to make advanced processing and present a masterpiece, edit iPhone 4K videos on PC. 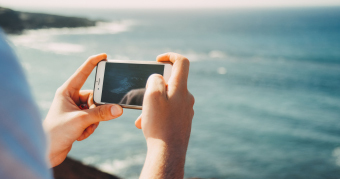 The higher your system is, the smoother the iPhone 4K editing will be, especially when you edit raw 4K footages captured by GoPro action cameras, DJI drones, Sony, JVC, etc, which have much higher bitrates. Besides, hardware acceleration plays a crucially important role in 4K video editing. Let's see the system recommendations for iPhone 4K video editing offline. - Accept 4K videos recorded by iPhone XS/XS Max/XR, GoPro, DJI, Sony, etc. - Level-3 hardware acceleration supported to avoid 4K video editing lagging or freezing. "My iPhone really stalls and stutters on 4K videos. My question is what are the bare minimum requirements to edit these big 4k files? Will iPhone 4K editing on PC be smoother and what software are you using to edit your 4K videos?" 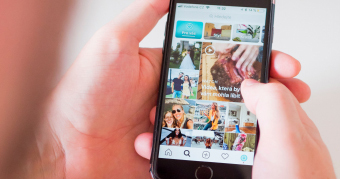 Errors like 4K video editing lags or freezes happen on both iOS and Windows/Mac platforms, even if you are using the new Apple-designed A12 processor, 2-core CPU and 4-core GPU, 50% faster than its predecessor or Intel 8-core i7 series. But compared with solely depending on iPhone, recording with iPhone but editing 4K on PC is a better way to go, for much more editing options, bigger screen, flexible operations, full support of GPU acceleration, etc. For well experienced users, Adobe Premier Pro is the best choice. If you are just about to edit your first 4K video captured by iPhone, VideoProc deserves your attention. As you can see from the table above, Although VideoProc is not as professional as Adobe Premier Pro in advanced video editing, it is more like an all-in-one video processing toolkit, which includes not only basic video effects enhancer and video cutter, but also 4K video transcoder and 4K downloader. More importantly, its strong support for all three kinds of hardware accelerations powered by Intel, Nvidia and AMD makes 4K editing run smooth as butter. 4K video recording was added to iPhone 6s for the first time. Back then, there was only 4K 30fps option, while the newest iPhone XS, iPhone XS Max and iPhone XR now allow you to record 4K video at 24 fps, 30 fps, or 60 fps. There are both resolution and frame rate compatibility issues, meaning some programs don't accept videos in 4K resolution while some others can't present 60fps, 120fps, etc. But VideoProc can deftly manage 4K/8K UHD at up to 240fps. Next we will give you a few examples on how to edit iPhone 4K videos with VideoProc on PC. 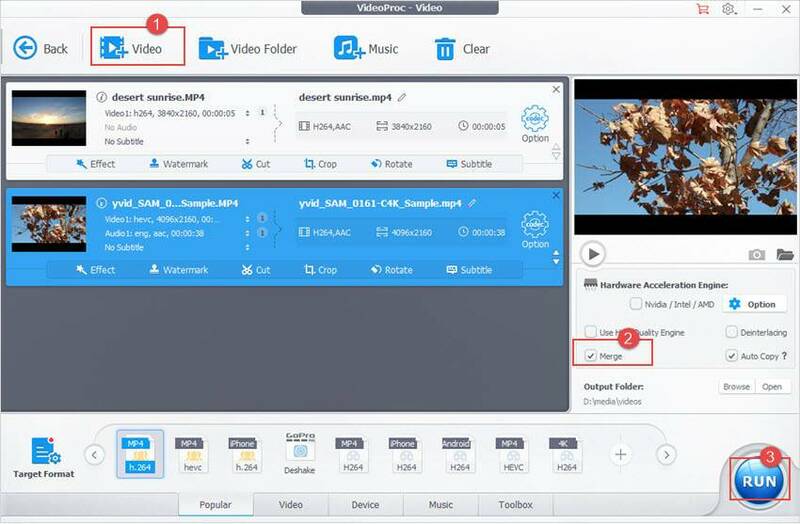 Before all that, click the "Free Download" button below to get VideoProc saved and installed on your PC or Mac firstly. Step 1: Launch VideoProc, click the settings icon at the top right corner and change the interface language to what you prefer. Step 2: Click "Video" to go into video editing center. Single 4K file, 4K video folder and music are accepted as input. Step 3: Click "+ Video" to load your iPhone 4K video and then press "Effect". Step 4: Apply filters Grayscale, Negate, Noise, Mirror, CMYK, Vignette, Tinted, Edge, Emboss, Blur, Sharpen, etc. Or adjust specific image settings, including Brightness (-1.0 to 1.0), Contrast (-2.0 to 2.0), Hue (-180.0 to 180.0), Gamma (0.1 to 10.0) and Saturation (0.0 to 3.0). 4K contains more information than 1080p, so the file size normally will be huge, especially when you shoot skiing, diving, mountain bike, etc in 4K with iPhone at high fps. All online video websites have size/length limits and that's why sometimes you have to resize your iPhone 4K videos for uploading. There are many ways to cut down 4K large file size, and all of that can be done with VideoProc. 1. Re-encode 4K video: unique compression algorithm of VideoProc helps cut down large file size by simply re-encoding your 4K video without any parameters changing. 2. Transcode video into HEVC: HEVC (H.265) is the successor of H.264, with around 50% higher compression ratio. 3. Crop unwanted image or remove unnecessary durations. 4. 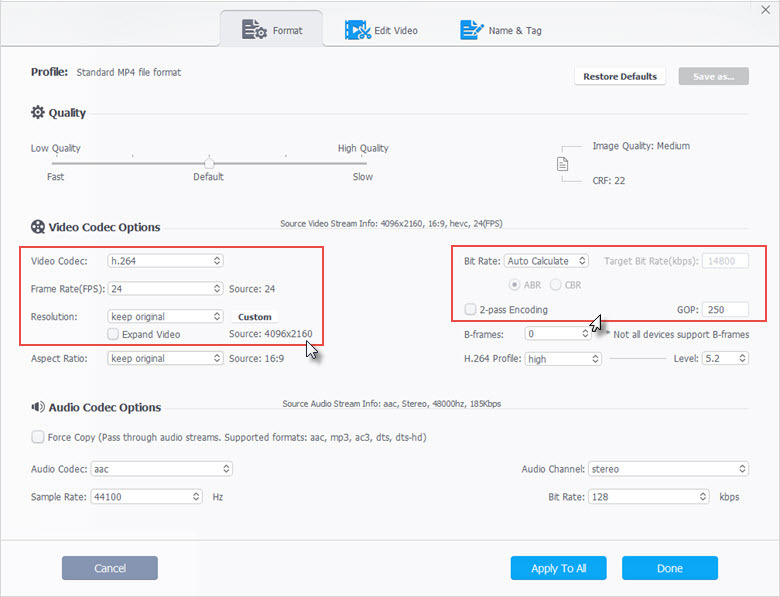 Change video settings, like bitrate, resolution, etc. Don't try this one unless you are well experienced. Bitrate decides file size and affects video quality at the same time. Changing it randomly may result in bad viewing quality. Step 1: Click "+ Video" to load your 4K videos recorded by iPhone. 1. 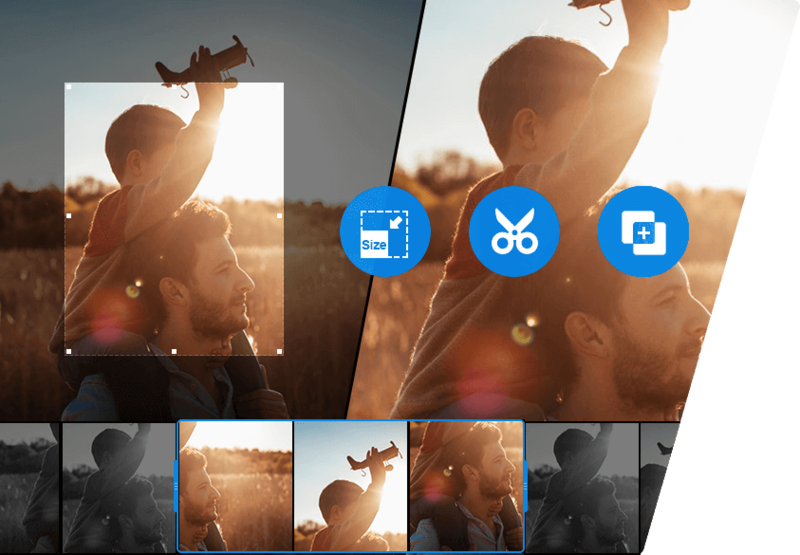 To resize the image or remove black bars, click "Crop" button to get into the crop center -> "Enable Crop" -> adjust Position and then "Done". 2. Choose "Cut" and move the timeline slider to cut videos into clips for later merging. Step 3: Press button "RUN" to start combining the video. Also learn how to import iPhone videos to iMovie for editing. Know more about iPhone 4K video at 60FPS. Deshake your iPhone recordings with most simple solution. Read to convert video aspect ratio to 16:9/4:3/1:1 in iMovie.